Play good out of the back, skillful in one on one and team defending, great on the counter attack and overlapping through the outside. Can play both left or right back. It has always been a challenge overcoming the obstacle of doing good in school while playing soccer. But after 13 years I have learned that soccer has given me the discilpline to succeed at both. My favorite thing about playing soccer is playing against a hard team because its a real test to see if my team and I can compete against them. I like playing defense because the defense has to be stable and solid in every second of a game. Playing outside back gives me the opportunity to attack while still having to deal with the responsibility of protecting our goal. My main goal is to continue playing soccer in college while earning a degree in Biology and Forensics. Carolyn is an outside back who is strong and physical. She does a good job keeping defensive shape and has good speed. Carolyn does strong academically and is open to all programs. 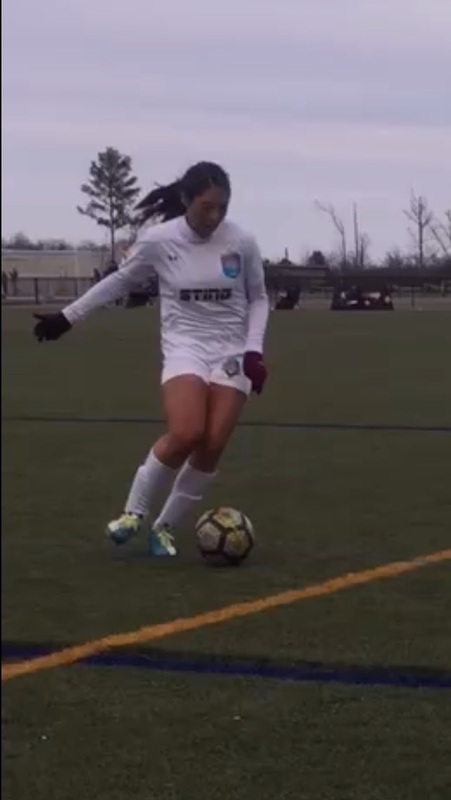 Carolyn usually stays connected to the back line so would need tactical coaching for long runs or systems that deploy a wing back in the attack. Carolyn handles new information well and is committed to improving.